Daily cyber attacks threaten both consumers and businesses alike, so it is important to understand the different types of threats that you and your devices are at risk of before it’s too late. The security threats we face are ever evolving and changing so it is vital to be both reactive and proactive. These digital threats cause harm to your internet security and personal device by corrupting, deleting and even stealing your data. Read on and learn how to identify, prevent and stay protected from such threats. Phishing is a form of cyber-attack in which criminals impersonate a trustworthy or legitimate source, usually requesting sensitive and personal information such as passwords and/or account details of the victim. 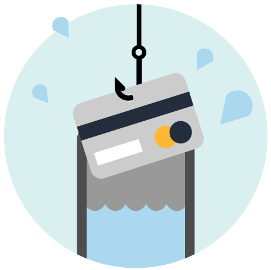 Phishing scams commonly target victims via email in an attempt to get individuals or groups to visit a webpage, complete a fake form or download an attachment. Find out more about the different types of phishing, how to protect your email and how to prevent phishing. 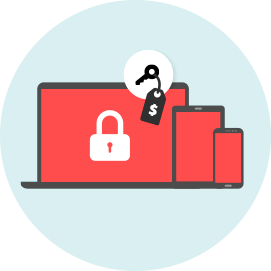 Ransomware is a type of malware that can lock a device or encrypt its contents, this prevents the user from accessing their personal files in order to extort money. In return, operators of the malicious code promise – of course, without any guarantees – to restore access to the affected machine or data. Ransomware can appear in different forms, more commonly they will appear as a pop-up on your computer but users must also be wary of unsolicited emails that could trick them into clicking through to dodgy sites or download links. 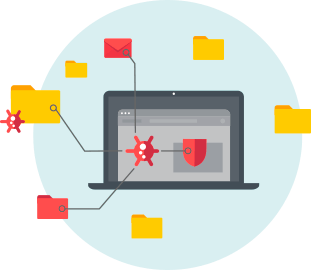 Read on to learn more and find out how you can protect against ransomware. Malware is a combination of two words – "malicious" and "software" and describes any form of malicious code that is specifically designed to infiltrate a computer or device without authorised access. This umbrella term is used to encompass all the various different types of malware, from computer viruses to Trojan horses, regardless of the way it afflicts victims, how it behaves or what damage it causes. While malware doesn’t cause damage to hardware, it can steal, delete and hijack your data while spying on your activity without you knowing. Simply put, spam is a digital version of junk mail. Described as any form of unsolicited communication sent in bulk (Unsolicited Bulk Email, or UBE), a common form of spam is a commercial email (Unsolicited Commercial Email, or UCE). These unsolicited emails are sent from an anonymous source to a large number of addresses so that even if few people respond, the sender is still making money. However, “spamming” is sometimes sent via instant messages such as texts or direct messages on social media channels. 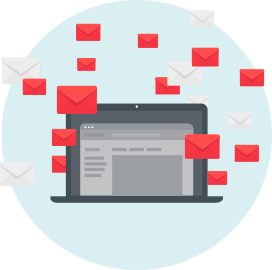 Find out more about how to spot a spam email and protect your email server. A firewall is a virtual 'wall' that works to block or allow traffic – protecting you from unwanted and dangerous attacks, such as malware and identify theft, while ensuring trusted networks are able to pass through. The purpose of a firewall is to filter out any potential hackers or attacks that might misuse or corrupt devices for malicious purposes. 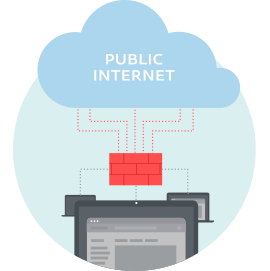 Find out more about what firewalls do, how they work and the different types of firewalls. 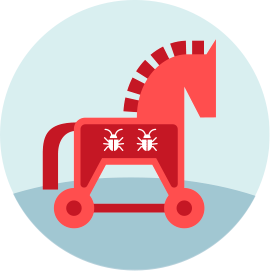 A Trojan horse (or Trojan virus) is a form of malware that uses a disguise to hide its true purpose in order to infiltrate a device or security system. A Trojan virus will use a disguise that imitates a legitimate software to gain the victims trust, after which the Trojan horse is able to give access to cybercriminals allowing them to steal, delete, block, copy or modify sensitive data. Identity theft is a crime in which an attacker uses fraud or deception to obtain sensitive information from a victim and then misuses it to act in the victim’s name. 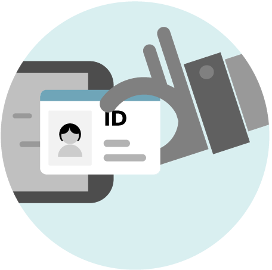 Perpetrators of identity theft are usually motivated by illegal purposes such as applications for credit cards or loans, making online purchases or accessing personal and financial data. Criminals often use phishing and other social engineering techniques to commit online identity theft however access to public profiles on social networks are also used to help impersonate victims. 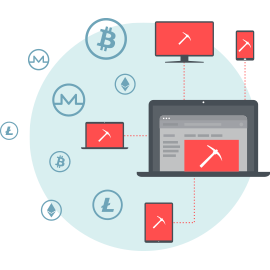 Cryptocurrency mining is the process of verifying and adding cryptocurrency transactions to the blockchain digital ledger. Cryptocurrency mining becomes a cyber threat to you when criminals hijack your device and use it to mine cryptocurrency enabling malicious activity to be directly executed in a victim’s browser. Victims are not asked to consent to this malicious crypto mining and even may be unaware that it is happening in the background.